Formerly named the Estoril Open, the Portugal Open is a joint ATP/WTA event based in Oeiras, Portugal. 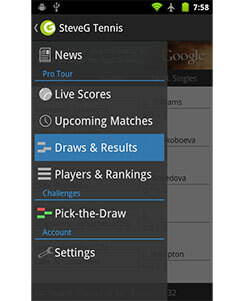 The ATP250 event boasts multiple winners such as Thomas Muster, David Nalbandian and more recently Albert Montanes. 2011 and 2012 winner Juan Martin Del Potro was scheduled to defend his title here before having to withdraw from illness. Replacing him as top seed due to a late wildcard is David Ferrer. After his surprise early exit in Barcelona to Dmitry Tursunov, David Ferrer accepted a wildcard and with it becomes top seed. With two exits in the first match in his last three tournaments, a Miami final sandwiched inbetween, the Spaniard is suffering a little with the consistency that he has become famous for but this tournament will give him a great chance to return to form on the clay. He opens against either Gilles Muller or Edouard Roger-Vasselin. Muller was a first round loser to eventual Bucharest champion Lukas Rosol while Roger-Vasselin lost early in Barcelona to Milos Raonic. While Roger-Vasselin leads the head to head 3-2, it is difficult to read anything into the record given they are yet to play on clay and three of the matches were on much faster indoor courts. In the rest of his quarter, Victor Hanescu plays a qualifier while sixth seed Benoit Paire faces Dutchman Igor Sijsling. Sijsling is yet to win a clay court match on the main tour and won just four games in defeat to Andrey Kuznetsov in Barcelona last week. Kuznetsov pushed Philipp Kohlschreiber to a third set tie break before succumbing to defeat in the next one and opens against Alejandro Falla. Andreas Seppi awaits the winner in round two, Falla has won the only meeting between himself and Kuznetsov – on the indoor courts of Paris last year. Seppi lost his opener to Lukas Rosol last week but will fancy his chances in a section with three lesser Spaniards and a qualifier. Pablo Andujar plays the qualifier while Daniel Gimeno-Traver and Tommy Robredo ensure there will be another Spanish player in round two. Robredo has been inspired in the past few weeks, going on a nine match winning streak (taking the Casablanca title) before Milos Raonic finally beat him. Gimeno-Traver defeated Robredo in a challenger late last year but has found it difficult recently, losing his last four matches. Although in doubles, the title Julien Benneteau picked up in Monte Carlo should give the fifth seed confidence coming into this tournament and a qualifier is a nice start for the Frenchman. One of two Portugese wildcards, Pedro Sousa draws David Goffin. Goffin’s form has been so-so this year but it would be a major surprise if the Belgian lost to a player ranked outside the top 200 in Sousa. Sousa has made two Challenger quarter finals and a semi final this year but has yet to take a title at that level in his career. Paolo Lorenzi also faces a qualifier with an all-Italian second round match on the line. Fognini should make light work of Lorenzi if he continues the form that saw him a semi finalist in Monte Carlo two weeks ago. The second Portugese wildcard went to Gastao Elias, who has had much more success on the Challenger Tour than Sousa. Elias took the Santos final a few weeks back to add to his Rio de Janeiro title at the back end of last year. However, his only main tour match this year saw him defeated handily by Tommy Robredo in Buenos Aires. Elias faces Horacio Zeballos whom he has played three times since the beginning of 2012, winning once on the hard courts of Sao Paolo while Zeballos won their only clay encounter in Montevideo at the end of the season. Evgeny Donskoy has found it difficult in recent weeks, losing to Somdev Devvarman and Jarkko Nieminen from a set down while he was defeated easily in Davis Cup action by Daniel Evans (outside top 300) in the live fifth rubber. His opponent Denis Istomin hasn’t fared much better although losing to Dmitry Tursunov last week in Barcelona doesn’t look the awful result it did at the time. The biggest rival to the title for Ferrer should be Stanislas Wawrinka and he takes the second seed here. 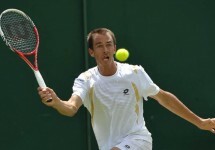 Carlos Berlocq will hope to take on the Swiss by extending his record to 4-0 over Albert Ramos. Both players saw their runs in Barcelona ended by eventual winner Rafael Nadal with Ramos defeating Jerzy Janowicz and Kei Nishikori before his eventual exit.